recognition of achievement. Suitable for your most important presentations. Major event winners and top producers are often rewarded with these timeless classics. 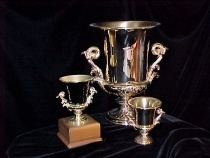 Custom acrylic awards are perfect for corporate presentations. 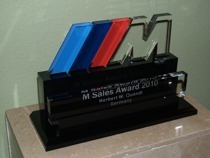 The pictured award was a custom design we made for BMW M (Motorsports) division. world at a special event BMW hosted in Marseilles, France.